This post was originally published on Domainer.com.au by Ned O’Meara. With auDA Board elections imminent (probably end of November), I thought it would be good to give potential candidates an opportunity to ask for your vote! First cab off the rank is my good friend Shane Moore. He first announced his intentions way back in May on Domainer, so it’s good to get a comprehensive update from him. In my opinion, Shane will make an excellent Demand Class Director of auDA. He runs his own business in Brisbane; he thinks independently; and he’s a listener. He’s also been involved with domains for many years. He certainly has got one of my votes! I’d Like To Ask For Your Vote Please! We’re getting closer to the expected announcement of the 2016 auDA AGM, which means the elections won’t be too far away. As stated earlier this year, I will be nominating for one of the two demand class directorships, and so far I’ve been very pleased with the level of public and private support. There are challenging times ahead for the au domain space, and with that in mind I want to provide an update on how I see the current issues and what I’ve been up to generally in the online world. In my opinion this is the biggest change to occur during my time in the domain name world, which kicked off back in the late nineties. There have been other big changes, such as the ability to sell domain names and the monetisation policy, both of which were great positive changes. The difference between these and direct registrations is that they didn’t affect the average small business owner. If you owned one or two domains for your SME, with no interest in acquiring additional domains, the changes to monetisation or selling of domains had no real impact on you. But with direct registrations, every single domain name owner is going to be affected. The insurance brokerage I founded and continue to run, Trade Risk, has thousands of small business clients, many of whom have an au domain name. I have spoken with many of them regarding direct registrations, and they aren’t happy about having to deal with yet another issue that’s going to cost them more time and money for no benefit. A number of them spoke about their frustrations with competitors having confusingly similar domain names, and the addition of direct registrations will only add to this issue. Are direct registrations really a good thing for Australia? I’d say they’re a great thing for registrars, but I can’t see the benefit for domain name owners. Ned has done a fantastic job of keeping us all updated on what we do (and don’t!) know about the goings on at auDA. With that in mind I won’t go over the same issues again, but I do have to agree with Ned that we are being treated like mushrooms. Having spent most of my career in the corporate world as well as running my own business, I completely understand that there is some information you can release, and some you cannot. So I understand that auDA can’t just spew out page after page of everything that goes on there, but the current level of engagement with registrants is certainly disappointing. Under normal circumstances the goings on at auDA would be pretty far down my list of priorities, with my business and my family occupying the first twenty or so places! Decisions about direct registrations and their implementation are possibly being made right now, but it seems that the board isn’t exactly in the greatest of health. How do we know that the right decisions are being made? I like to think I’m a fairly positive guy and trust people to do right thing. The current directors should take notice of what domain owners really want and make their decisions accordingly. They should also recognise that many of the survey responses came from people who were not fully informed, and whose responses did not necessarily reflect the overall domain name owner’s community. If I am fortunate enough to have the support of sufficient auDA demand class members, here’s what I’ll be using my position to push for. 1. No introduction of direct registrations unless all existing domain name owners can be assured they will not be disadvantaged in any way. 2. Make it easier for more domain owners to become auDA members. 3. Make it easier for people to register an au domain. 4. Ensure the interests of domain name owners and users have appropriate influence over decisions that affect them. 5. Ask questions about auDA’s revenue, specifically in terms of how much it can justify and how it is used. And most importantly, I’ll be pushing for auDA to be as transparent as is legally possible. In my opinion, greater transparency will remove the vast majority of issues that people have with auDA. My whole professional life revolves around domain names, websites and digital marketing. Where I differ to a lot of people in the industry is that I don’t provide any services to other people, and instead only work on my own businesses. My insurance brokerage, Trade Risk, is kicking along well and continues to grow. Since my last guest post on Domainer, we picked up an award as one of Australia’s top 30 ‘Elite’ brokerages. This is the second year in a row we’ve achieved this. We put on another new staff member just last month, and we’re also working on a fantastic new online system. It’s not bad for a business which started off as nothing more than a hand registered au domain name! The premium domains we have added since have unquestionably helped. My ecommerce business, Nuts.com.au, also continues to grow. It’s been almost twelve months since we started selling products, however this business might be off to a new home soon. And then we have NumberPlates.com.au which launched a brand new site just last month. It’s going really well and proves that the classifieds model can still work well in the right niche. I just love online business, and in particular online businesses which use premium domain names as part of their branding and overall strategy. auDA have done a great job of developing the au domain space over many years, and I hope to be part of the board that continues to push it in the right direction. If you’d like to get in touch with me please email me. You can also connect with me on LinkedIn. I’d also be happy to answer any questions on here as well. I was thrilled to learn yesterday that a friend of mine has decided to stand for election as a Demand Class Director at the auDA elections later this year. Shane Moore has fantastic credentials in my opinion, and will be a great representative if elected. 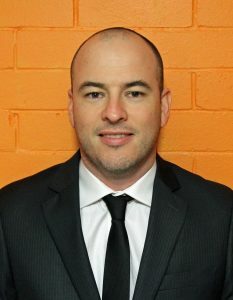 He’s Brisbane based, and has been involved in domaining and online marketing for over a decade. Some of his online businesses include Nuts.com.au and NumberPlates.com.au. He also runs a successful insurance brokerage specialising in insurance for tradies. Have a look at TradeRisk.com.au – it’s a great example of a thriving business website! Here in his own words is why Shane wants to be elected. Nominations don’t open until much later in the year, but given the recent interest in auDA issues I’ve decided to make my announcement earlier than planned. I will be running for a seat on the auDA board this year. I feel that the board has been without a director who genuinely represents small business and domain investors, and who engages with the community on a regular basis. The board has instead been dominated by people from within the domain name industry, as well as people who may not necessarily have the regular SME owner’s best interests at heart. It makes sense that the board would be made up primarily of people from within the domain industry, however given the way that pending changes in the AU domain space will affect all SME owners and domain name investors, it is my intention to be their voice on the board. I believe I fill a rather unique gap between genuine end-users of premium domain names, and pure domainers. I’m on record as having said I supported the idea of shorter domain names, in the form of direct registrations. What I don’t support is any form of implementation that damages existing com.au domain holders and their investments in branding, trademarks and indeed the domains themselves. It is my firm belief that all existing com.au domain holders should be issued the .au version of their domain without the risk of losing it to any other party. Australian business owners and domain name investors have invested vast amounts of money into com.au registrations, both as new registrations and aftermarket purchases. There should never be a situation where direct registrations jeopardise these investments. Ultimately, if I was given the opportunity to oppose direct registrations at the board level, I would. Despite my personal fondness of shorter domains, I am well aware that the majority of people I seek to represent are firmly against the introduction of direct registrations. I do believe however that the battle we need to be concentrating on is implementation. I believe auDA needs to seriously increase its level of engagement with existing registrants. The vast majority of end-users, in particular SME owners, have no idea about what is happening in the Australian domain name space. Whilst their domain name might represent a very small priority within their business, they should still be fully informed about any possible changes affecting their domain name or names. Direct registrations are a major example of where many people believe engagement with everyday domain owners was poor, and who knows what other changes will come in future that need to be far better communicated. Small business owners, and large businesses for that matter, are the major users of domain names in Australia, however they have very little representation on the auDA board. Whilst some past and present board members may have been SME owners, I do not feel that they were on the board as a genuine representative of SMEs. The business I founded six years ago, insurance brokerage Trade Risk, has used premium domain names in order to grow into a multi-award winning national business. I know first-hand that without investing in premium Australian domain names that I could not have achieved the same success. I am also the founder of Nuts.com.au, which is a fast growing online food retailer, as well as the owner of NumberPlates.com.au which is a leader in its category. What my businesses have in common is the use of premium Australian domain names. I have invested strongly in these and many other names, and I am very aware of their value as business assets. I have a lot to lose if the implementation of direct registrations is handled poorly, as do many other SMEs and domain investors. Unlike the vast majority of end-users I’ve also been a part of the domainer community for many years. I registered my first .com domain in 1999 and my first com.au in 2003. I have been a member of numerous online groups since 2010 and have been a constant contributor throughout that time. Whilst I haven’t sat on previous committees or boards, I do have a strong background in the corporate world prior to moving into small business. Prior to founding my own business in 2010 I was employed as a compliance analyst for a subsidiary of the ANZ Banking Group. I’ve held compliance and project management related roles with corporates including Suncorp Bank, the National Australia Bank and other smaller financial institutions. I also have some public sector experience, having spent time in London working for the UK Government. In my current primary role, I am the principal of my own insurance brokerage. With insurance being a very heavily regulated industry, I am required to uphold very high standards in terms of compliance. So why vote for me? I feel very strongly that SME owners have been completely left in the cold when it comes to direct registrations. I also believe that domain name investors (who are also SME owners) have been completely under-represented on the auDA board for many years. Some past and present auDA directors seek support from the domain investor community around election time, however once the election has been run we rarely hear from them for another year. I have been a strong contributor to the domain name investing community in Australia for a number of years, and also a strong advocate for small businesses using premium domain names. It is my intention to finally give SME owners and domain name investors a genuine seat at the table so that we can have some well-deserved influence over policies which can and will affect our livelihoods. Even if we cannot win a seat on the board, at the very least we can send auDA and the current directors the message that we are prepared to act together for our own interests – just as many of them have been doing for years. If anyone wants to contact me for further information, please email me.